The Executive Education Department of Babson College in Boston, Massachusetts hosted a unique experience for over 20 young people, from around the globe. 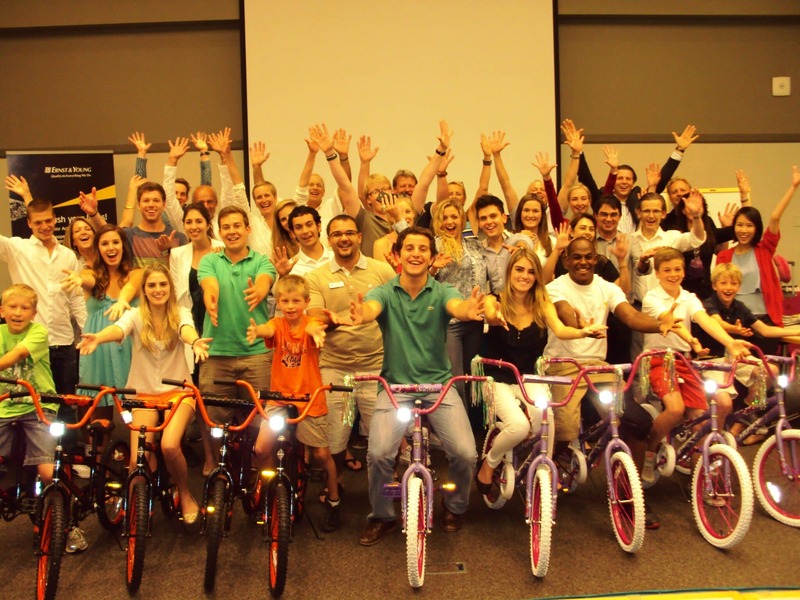 20 young people taking part in the junior executive program with Ernst and Young gathered in New England for a week long term of training which included a Build-A-Bike Team Building Event. On that day they participated in several exercises that culminated in the building a number of new bicycles. They had been exposed to training in The Myers-Briggs Type temperament inventory and during the Build-A-Bike were exposed to it in a very practical way. The activities were designed to highlight different aspects of temperament and personality and helped the young people explore their own strengths and weaknesses. On Saturday the young people experienced the Build-A-Bike again, but this time some of the parents were also in attendance. The young people acted as coaches since they had already experienced the program, but there was a new twist that kept everyone guessing. The interaction between the young people and the parents was great and the Myers-Briggs information was reviewed and application was made. 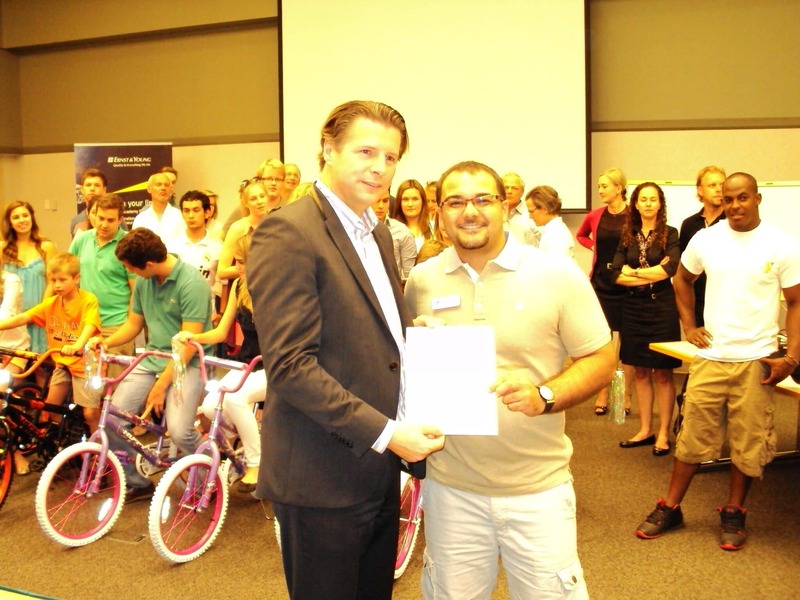 At the end of the program the YMCA was on hand to receive the bikes that would be given to underprivileged children in the Boston area. 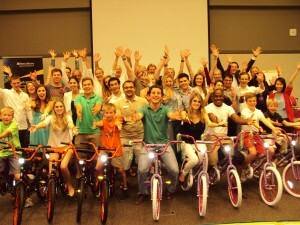 In total 12 bikes were built and donated. 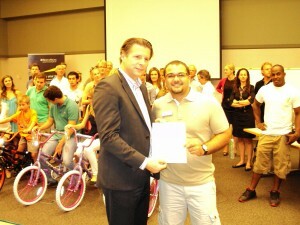 It was a great learning experience and a great feeling to donate the bikes to those who would really appreciate them. Thanks to Babson College in Boston and the New England division of Ernst and Young for a great learning experience that incorporated both experiential learning with great fun for a terrific global audience.